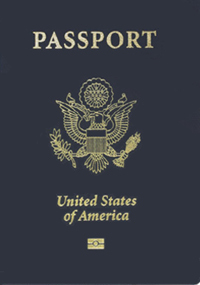 The Clerk/Register of Deeds office provides passport services by “APPOINTMENT ONLY”. This service is provided at the Fillmore location. Holland and Grand Haven are no longer passport acceptance facilities. Schedule your appointment online today! Passport applications are NOT accepted at the County Clerk's Hudsonville, Grand Haven, and Holland locations. Please read the following information carefully before applying. A transmittal list is included with each group of passport applications sent. For more information about passports visit the Bureau of Consular Affairs. Schedule an appointment online! You will not be able to schedule a same day appointment. Please make sure to have everything you need ready for your appointment. Please arrive 5 minutes prior to your appointment time. We cannot accept late appointments. Certified copy of your birth certificate with raised Seal along w/ additional photo copy. Certificate of Naturalization-original along with a copy of Naturalization paperwork. Copy of front and back of ID each on separate sheets of paper. Taken within past 6 months. 2 x 2 inch in size. Full color with white background. No glasses, head bands, scarves, or barrettes with bows/flowers. 16 and older = $110.00 for passport only; $30.00 for passport card. Under 16 = $80.00 for passport only; $15.00 for passport card. Expedite fee (if applicable) = $60.00 per application. Express Mail Fee (Optional) = Price based on current Postal rates. Payment can be cash, check, money order, or credit card. For specific information regarding fees and requirements for minors, please click on the requirements for passport tab on the Clerk/Register website. Note: 15 and under requires both parents to be present along with child. 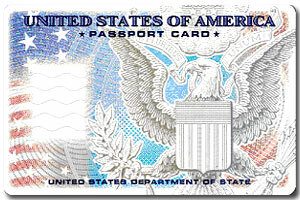 Application for U.S. Passport: For your first passport, you must appear in person and complete this form. It may be completed prior to arrival but must be signed in the presence of the passport agent. A certified copy (raised seal) of your Birth Certificate: It is available only from the County Clerk's Office in the county of your birth or from the State of your birth. Effective April 1, 2011 all birth certificates (including adults) must have parents' names. Present Identification: A valid driver's license, a government issued (federal, state, municipal) identification card, a previous passport, or a Certificate of Naturalization or Citizenship. Submit a Photocopy of the Identification Presented: Applicants must include a photocopy of identification document(s) front and back at the time of passport application acceptance. Sized such that the head is between 1 inch and 1 3/8 inches (between 25 and 35 mm) from the bottom of the chin to the top of the head. View the Photo Composition Template on the Travel.State.gov website for more size requirement details. If you normally wear a hearing device it may be worn for your photo. As of November 2016 the National Passport Agency will no longer accept passport photos with any type of eyewear including but not limited to prescription glasses. Photo requirements have been changed to require one color photo. Note: The Register of Deeds division can take your passport photo at our Grand Haven and Fillmore Street locations. The fee is $10.00. Applicants age 16 and over: Must pay $110 for their passport. This payment must only be paid by check or money order payable to the Department of State. There is a $35 execution fee payable to Ottawa County Register of Deeds by Cash/Check/Money Order/Visa or MasterCard. The passport is valid for 10 years. Applicants age 15 and under: Must pay $80 for their passport. This payment must only be paid by check or money order payable to the Department of State. There is a $35 execution fee payable to Ottawa County Register of Deeds by Cash/Check/Money Order/Visa or MasterCard. The passport is valid for five years. Statement of Consent - Issuance of a Passport to a Minor Under Age 16 (Form DS3053) - This form should be submitted, along with the DS11 Application for Passport, for minors under age 16 as evidence of parental permission if: 1) you are a non-applying parent or guardian consenting to passport issuance for your child, 2) or you are an applying parent or guardian, and the written consent of the non-applying parent or guardian cannot be obtained. The Statement of Consent by non-applying parents, for children under the age 16, MUST be Notarized and signed by the non-applying parent and must include a photocopy of the front & back of his/her ID. Application Signature: Until the age of 18, all applicants will need a parent or legal guardian (with legal proof) present to sign your passport application at the time of execution. All persons 16 years of age and above will need to sign their own passport application in the presence of the passport agent. ALL MINOR CHILDREN MUST APPEAR IN PERSON. You should receive your passport within approximately 4-6 weeks from the receipt of your completed application. If you need your passport in less than approximately 4-6 weeks, you need to obtain expedited service for processing the passport. The fee for expedited service is $60 per application (payable by check or money order to the Department of State) which is in addition to the regular passport fee. At the time of expedited service, it is recommended that you arrange for a two-way overnight delivery of the passport to prevent delays. For additional information, please call the Ottawa County Register of Deeds at (616) 994-4510. Application for U.S. Passport (Form DS11) - applicants must submit in person. U.S. Passport Renewal Application (Form DS82) - must be submitted through the mail. Name Change, Data Correction, and Limited Passport Book Replacement (Form DS5504) - must be submitted through the mail. Statement Regarding Lost or Stolen Passport or Card (Form DS64) - must be submitted along with the Application for U.S. Passport form DS-11 in person. Statement of Consent - Issuance of a Passport to a Minor Under Age 16 (Form DS3053) - must be submitted with the Application for U.S. Passport form DS-11 in person when both parents are not present for a minor.